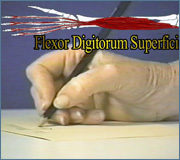 Development of good structure and stability of the hand is critical for achieving functional use of the hand. In addition to relevant anatomy of the wrist and hand, this developmental hand program presents activities that promote proximal stability, opening and stabilizing the thumb web space, and development and stabilization of the arches of the hand.. In addition, development of good structure and stability of the hand is critical for achieving functional use of the hand. 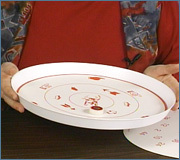 Activities are presented that motorically dissociate the two sides of the hand, isolate skill to the most advantageous motor unit(s), develop precision rotation and translation of the digits. 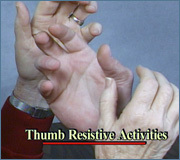 These activities provide an effective approach to improving the strength and structure of the hand as preparation for developing fine motor skills and efficient cursive writing skills.